This all creatures animal exploitation photo gallery about NAME is being presented to show the public the difference between the cute animals we see in advertising and picture in our minds and the reality that exists in the world. (Ducks and Geese Exploitation - Foie Gras - 14) This is another close up look at a goose being force-fed. Stop this atrocity! Speak out against this inhumane practice! 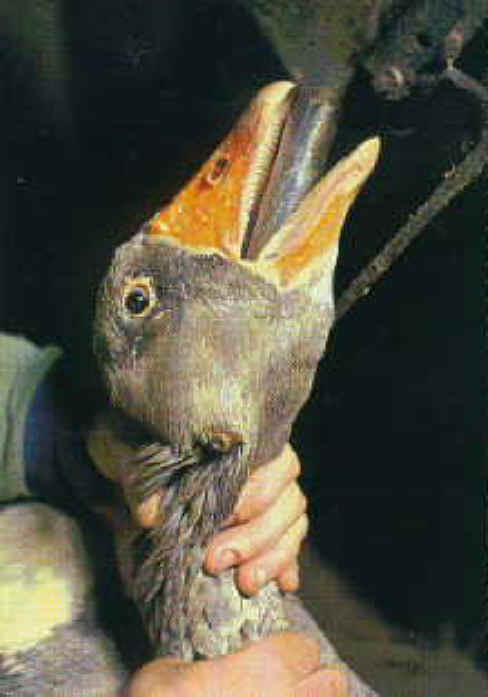 Don't eat or buy foie gras.